Below is the original text for our Gaumont Comes Home event that took place in August 2014. We also showed the films at the Peckham and Nunhead Free Film Festival on 3rd September 2015 in the Ivy House pub on Stuart Road with Neil brand we were the closing event for the Camberwell Arts Festival at ST Giles’ Church with the organ as accompaniment. 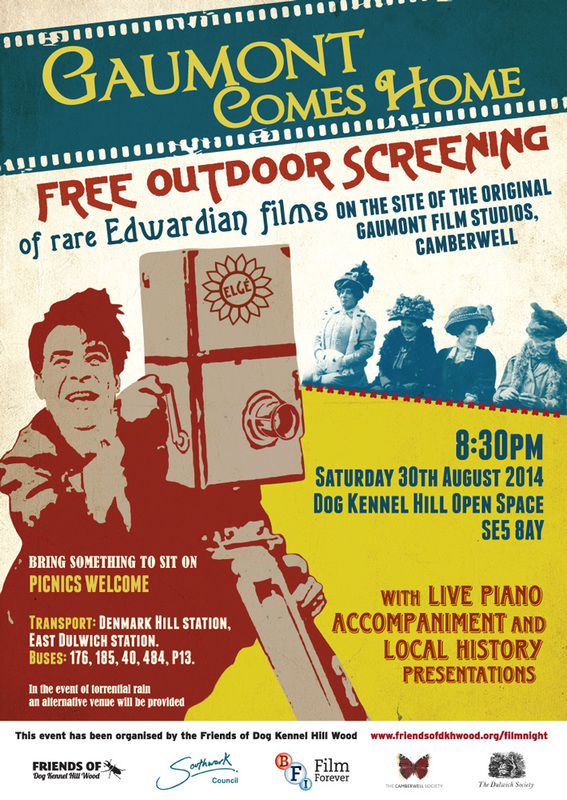 The Friends of DKH Wood are delighted to announce a free screening of rare Edwardian films in Dog Kennel Hill Open Space on 30th August 2014 at 8:30pm. Easiest entrance to find is between 8 Dog Kennel Hill and the adventure playground, SE22 8AA. You can also access it via the Sainsburys car park… pass the cash points on your left and go up the stairs straight into the park. We will be doing tours of the film locations on Sunday 31st August 2014 at 12pm and 2pm. Tours cost £5 per person and are a perfect way to get to hear more detail about where the films were shot. Meet outside Denmark Hill train station. No need to book just turn up. 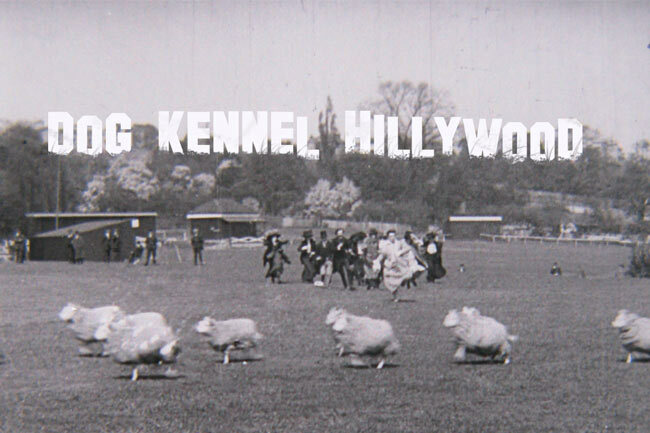 The Gaumont film company set up their film studio next to Dog Kennel Hill Wood from 1904 – 1912 when it was Freemans Cricket Ground. 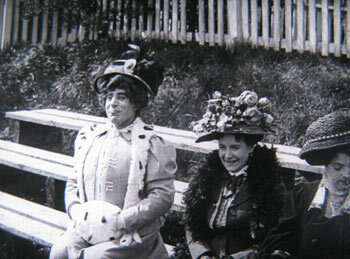 It was here under the management of Alfred Bromhead that they produced over five hundred short films that went on to be shown around the world. The main director working at the Champion Hill studio at this time was Alf Collins. Despite the significance of this early studio only thirty of his films survive and until now have been hidden away in the national film archive. The Friends have been working closely with the British Film Institute and film historian Tony Fletcher from the Cinema Museum to bring the films of Alf Collins out of the archive and onto the big screen for the first time in a hundred years. Tony Fletcher, film historian at the Cinema Museum. Gaumont studios were pioneers of British cinema before Hollywood even existed. They were the most successful studio to experiment with sound and colour movies in these early years. Gaumont are best known as the originators of the chase scene, many of which were filmed in and around the streets of Camberwell in locations that are still recognisable today. By the 1930s Gaumont were the largest British studio and continued to dominate the UK film industry for the next two decades, working with such luminaries as Alfred Hitchcock, James Mason and Boris Karloff. Bryony Dixon, curator of silent film at the BFI National Archive. The studio holds an important place in cinema history yet very few people know about it. 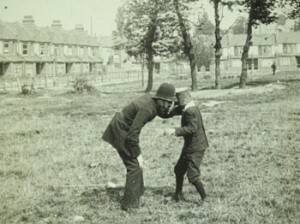 Our evening will combine film screenings with local history presentations to set the scene for Dog Kennel Hill in Edwardian times. The programme includes titles such as “The Adventures of a Roll of Lino” and “Tommy the Tin Pot Hero”. The films will be accompanied live by the UK’s most celebrated silent film pianist, Neil Brand, known for his work with the BBC, the NFT and the Barbican. The evening will start at 8:30pm. Come early to bag a good spot on the grass. Bring a picnic, something to sit on and something to keep you warm and dry. In the event of terrible weather, watch this space for news of an alternative weather-proof location. Main entrance on Dog Kennel Hill in between the adventure playground and no 8 (modern block of flats). Please note that there is not enough room in the park to lie bikes down next to you so please lock them up around the edge or outside.